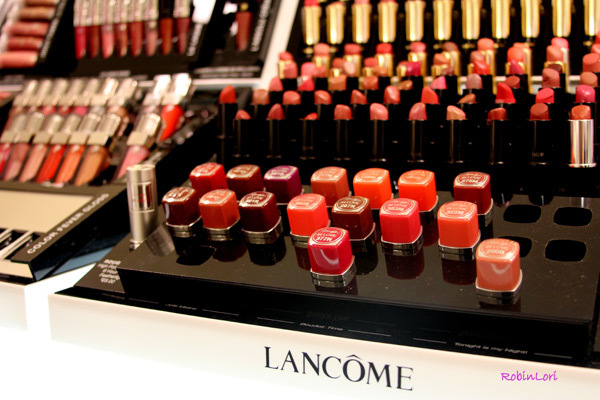 Lipstick and Blush and Makeup…Oh My!!! Summer has officially descended upon Atlanta. And being that we’re only a few weeks into the season and already experiencing record breaking temperatures, the city has no doubt lived up to its much deserved nickname “HotLanta”. If you’ve ever lived in a hot and/or humid climate like Atlanta you know how difficult it is to maintain a fresh and flawless look when the heat is so unbearable that your makeup begins to channel the Wicked Witch of the West in her classic “I’m melting…” scene; and clicking your heels three times will not magically make things any better. Well fear not my Pretties, for there is an enchanted place in a not so far away mall that carries the perfect blend of cosmetics to battle the wicked summer heat, and you’ll be skipping down the yellow brick road to makeup merriment. So as coincidences go; it was the official day of summer, I was celebrating my one year Blogiversary (YEAH! 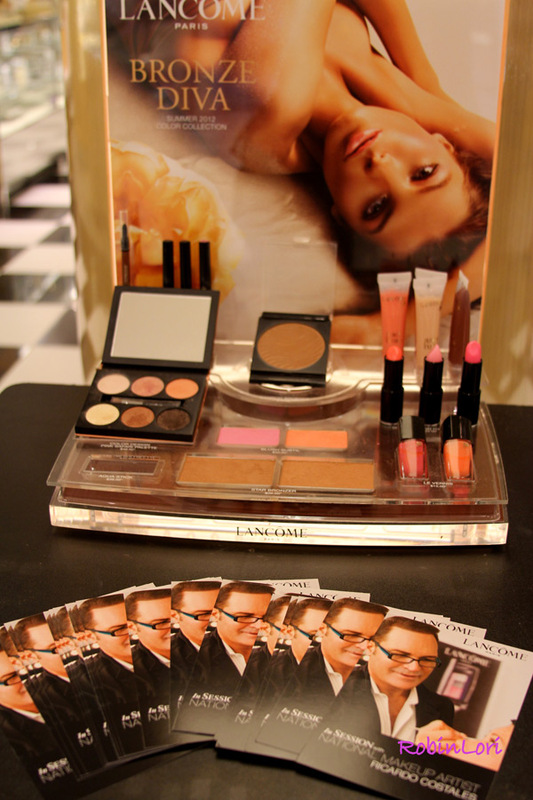 ), and Lancôme was hosting a cosmetic and cocktails soiree at Bloomingdale’s in Lenox Square. International Makeup Artist (and Master Makeup Wizard) Ricardo Costales was scheduled to be in-house to offer one-on-one consultations along with Lancôme’s Top Team of makeup artists. So off I went to see these makeup wizards work their magic during this limited engagement event that featured fabulous summer-ready cosmetics and much needed tips on how to look haute all summer long. 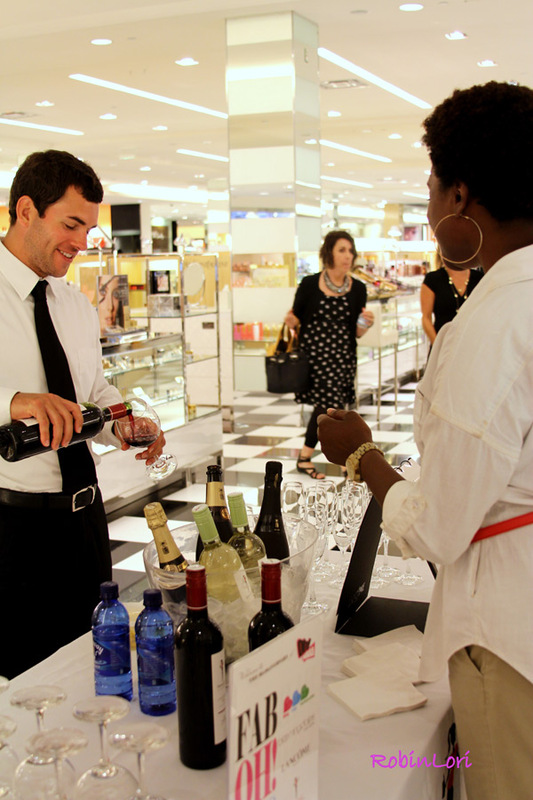 Guests of Bloomie’s Land enjoyed yummy sips from Skinny Girl Cocktails while indulging in their private makeup sessions with the Lancôme team. I was super excited about my personal makeup session with Ricardo Costales and could not wait to get started. So after I snapped out of my starstruck amazement it was time to begin. First up was a prep session where Ricardo suggested using Lancôme’s Bienfait Aqua Vital Lotion ($45). This oil-free moisturizer helps to maintain the skins ideal moisture levels while eliminating that dreaded oily sheen that leaves your skin looking plastic. 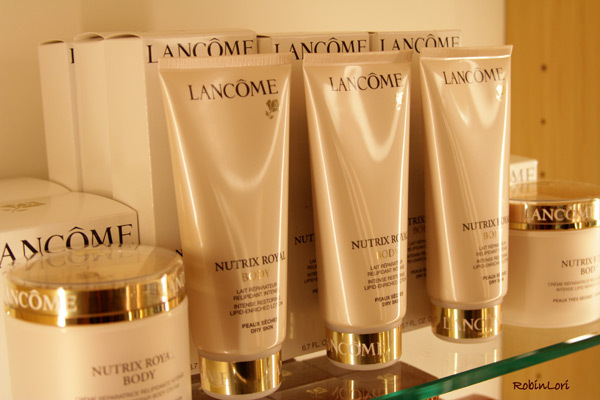 I have combination skin (oily and dry) so this product was perfect for me since it brings my skin to a happy balance. Next was the foundation. 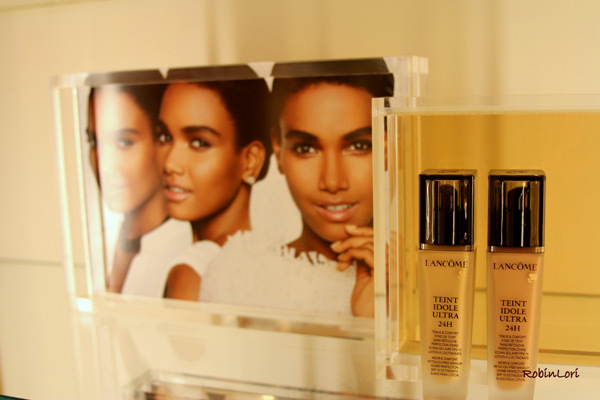 I typically prefer a foundation that would help conceal all of the imperfections on my skin and leave it with a blemish-free appearance, so Ricardo suggested using Lancôme’s Teint Idole Ultra 24H ($44) which has 24-hour lasting coverage that would give me that flawless look throughout the day. This light yet smooth foundation also contains SPF 15 sunscreen which is essential for the summer sun. Ricardo then applied Lancôme’s Aplum Blush Subtil ($30) that I absolutely loved! It adds a wonderfully radiant look that would have Glinda the Good Witch of the North blushing with envy. 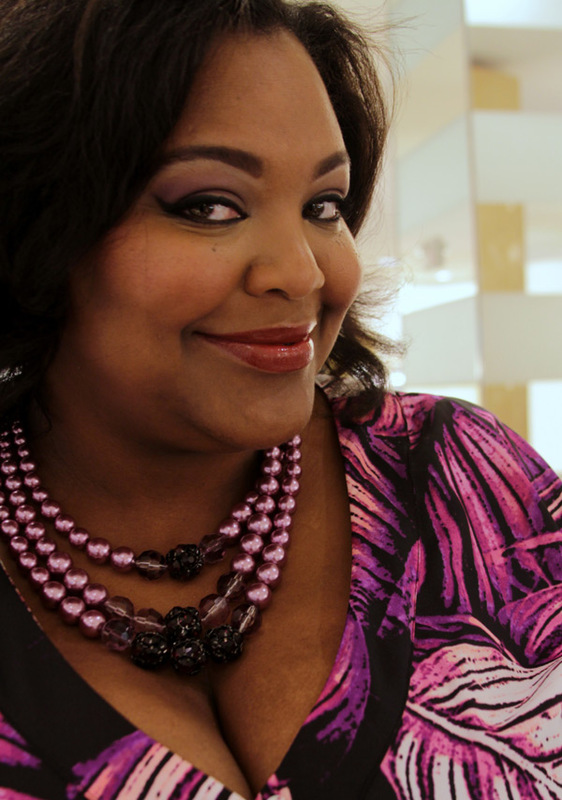 After all of the pampering and getting glammified I was definitely feeling like a super star, so it was only fitting that Ricardo suggested using the Tonight is My Night lipcolor from Lancôme’s Rouge in Love collection ($25) to complete the look. In case you didn’t know I consider myself to be the Connoisseur de Glosse’ and/or the Purveyor of Lip Paint simply because I’ve tried just about every lipstick brand on the market at some point. So needless to say I know a good lipstick when I try one, and this collection is by far one of the best. Not only does it wear for up to a whopping 6 hours, but its light feel and radiant color pallet offers the perfect balance. Well, thanks to the insightful tips from Ricardo Costales and the Lancôme team I gained valuable knowledge on which makeup combinations work best for my skin, and the courage to step out into the summer sun without the fear of my makeup melting away. Oh, and after my rendezvous with Lancôme’s collection of lipcolors, I’d have to say that my heart is truly bursting with love!!! 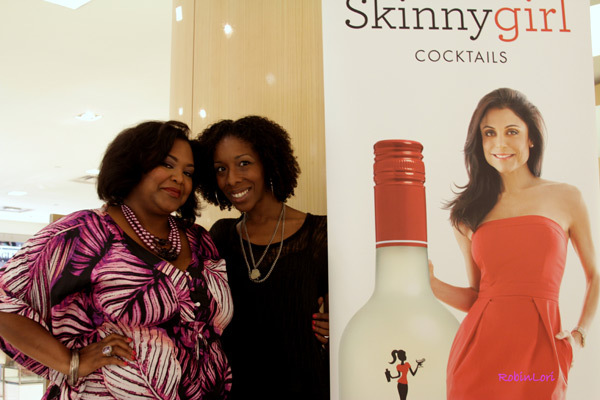 I had such a great time mixing and mingling with all of the lovely ladies who came out to Bloomie’s to indulge in the cosmetics, consultations and cocktails. I only wish that you were there… and You… and YOU too! 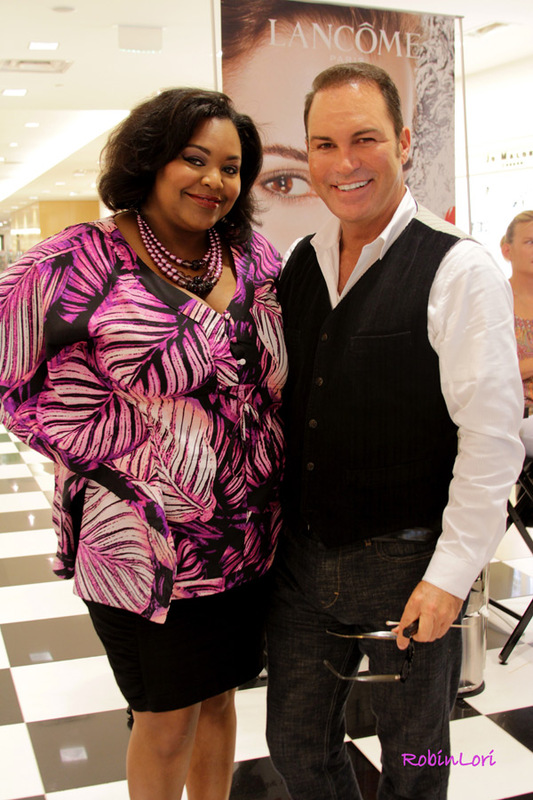 Big hugs to my Blog Fab Fashionista’s (BFF’s) Efie Lynn of LA Lynn’s Accessory Shoppe and Keren Charles of Two Stylish Kays who came out to celebrate my one year Blogiversary kickoff event at Bloomingdale’s! Thanks ladies!!!!! Special thanks to Theo Tyson of Trinity Productions for hosting such an amazing event for us, and Robin Marshall of RobinLori Photography for capturing all of the fun on film. 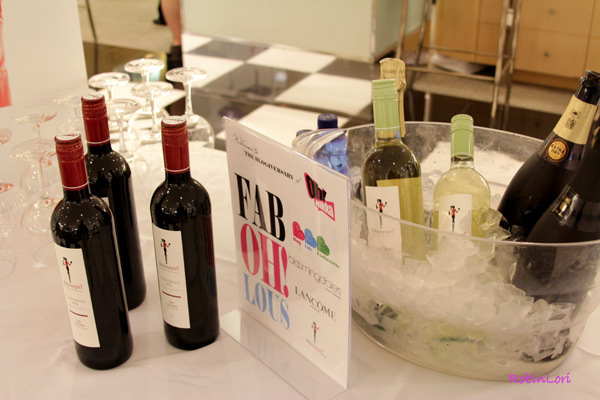 Tweet me at Bloomingdale’s for a Fab-Oh!-Lous event to celebrate the Blogiversary of Oh! Nikka!